As it continues to expand its range of professional lighting and video products, ADJ is preparing to exhibit at the 2019 ISE (Integrated Systems Europe) trade show. Attracting designers and installers from across Europe and beyond, ISE is the region’s leading event focused on professional AV and electronic systems integration. It will provide the perfect showcase for ADJ’s new moving head, LED wash and video panel products. Following their debut at LDI in Las Vegas last October, ISE will see ADJ’s ground-breaking new Hydro Series of IP65-rated moving heads unveiled in Europe for the first time before they begin shipping in the spring. 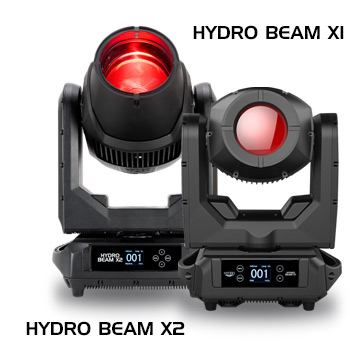 The Hydro Beam X2 harnesses the power of an extremely bright Osram Sirius 370W discharge lamp to generate an enormously powerful 3-degree beam of light. It offers a raft of professional-caliber features including independent color and GOBO wheels, linear motorized focus, two 8-facet prisms, an in-built frost filter and an integrated USB port for software updates. Its smaller sibling, the Hydro Beam X1, is powered by an Osram Sirius HRI 100W discharge lamp and features an extremely compact design yet still packs a serious punch. Both fixtures feature a sealed casing design, which not only protects them from sand, moisture and liquids – making them suitable for either permanent or temporary outdoor use – but also allows for reduced maintenance and an extended operational life as the inside of the fixtures are fully protected from dust. 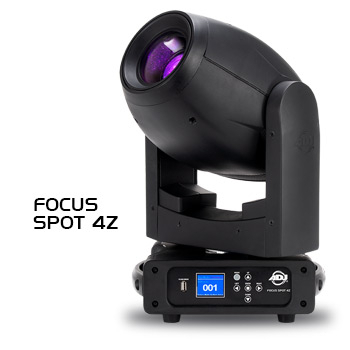 The Focus Spot 4Z is the latest addition to ADJ’s popular Focus Series of compact and affordable LED-powered moving heads packed with professional-caliber features. Harnessing the power of a 200W cool white LED engine, paired with carefully-designed optics, the fixture generates a striking beam of intense light. The unit’s signature zoom function is extremely smooth and allows its beam angle to be altered remotely between 11 and 22-degrees. 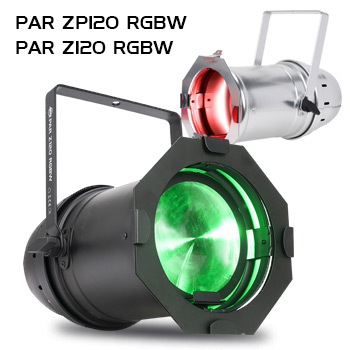 It also features a variety of other beam manipulation tools including motorized focus, independent color and GOBO wheels and two multi-facet prisms. With an extremely compact design, it is ideal for installation in a wide variety of venues including those where ceiling height is restricted. 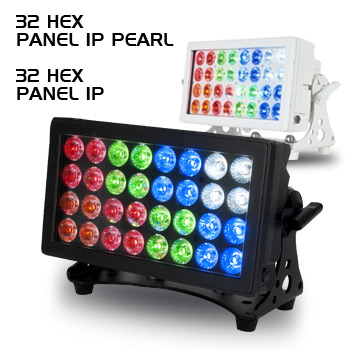 Packing an incredible amount of LED power into a compact IP65-rated enclosure, the new ADJ 32 HEX Panel IP is a professional multi-function wash / blinder / strobe fixture. The unit features 32 x 12W HEX (6-in-1 RGBWA+UV) LEDs which allow it to generate an extremely potent wash of light in a vast palette of different colors. These include both cool and warm white, for stage illumination, as well as UV-infused hot pink, lime green and electric blue. The inclusion of the UV element also means that the fixture can create the classic ‘black light’ effect that causes white and neon-colored surfaces to glow brightly. The 32 LEDs are arranged in eight individually-controllable groups of four. This allows for eye-catching multi-colored chase patterns to be created within a single unit, as well as for Pixel Zone Control when multiple units are integrated into a larger pixel-mapped lighting system. An all-white model, the 32 HEX Panel IP Pearl, is also available for projects that call for a light color scheme. Expanding Expanding ADJ’s extremely popular AV Series of LED video panels, the new AV2 offers the highest resolution in the range so far. With a brightness of 1000NITS and black face LEDs for outstanding contrast, the AV2 features a pixel density of 168 x 168, which represents a pixel pitch of 2.97mm (0.17”). It offers a wide viewing angle of 160-degrees (horizontal) and 120-degrees (vertical – up and down) from a minimum viewing distance of just 9.75ft. (2.97m). This makes it ideal for use in situations where impactful large screen displays are required but that can be viewed from close up as well as over a long distance. With compact dimensions of 19.75” x 19.75” x 3” / 500mm x 500mm x 73mm and a low weight of just 17.64 lbs. 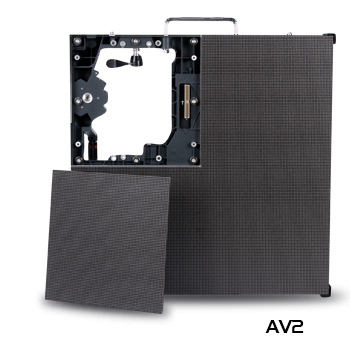 / 8kg., the AV2 panels are easy and convenient to transport, store and install. ISE 2019 takes place in Amsterdam at the RAI Convention Center, February 5 thru 8, and is expected to attract over 1,300 exhibitors and 80,000 attendees. The ADJ Europe team will be found at booth #7-N218 with these eight exciting new products on display alongside other popular fixtures from the brand’s existing catalogue.